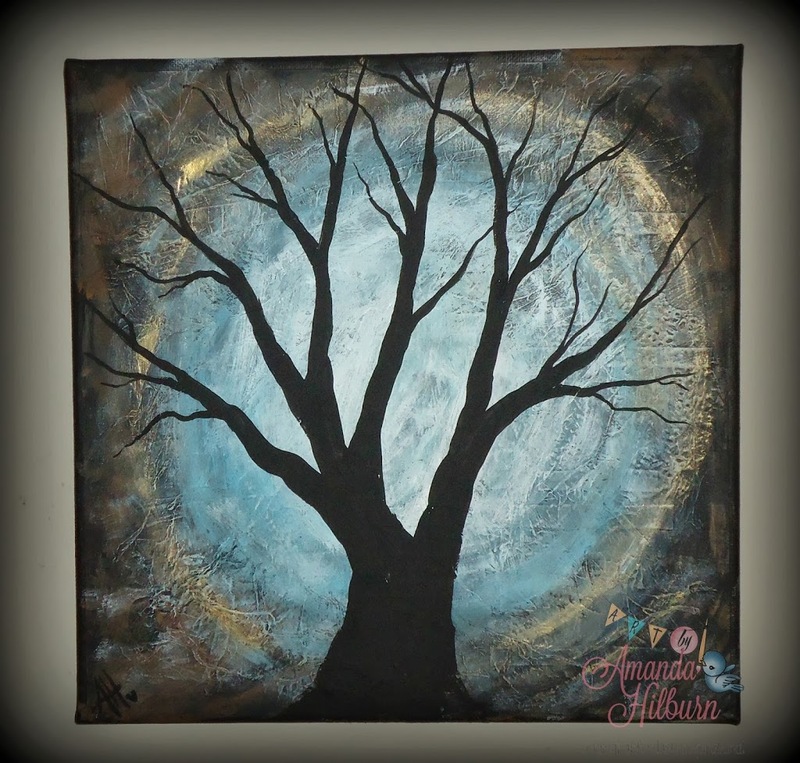 Tree silhouettes were some of the very first items that I listed in my Etsy shop when this new art journey began. However, these new trees that I just finished up this weekend are quite different from my first works. 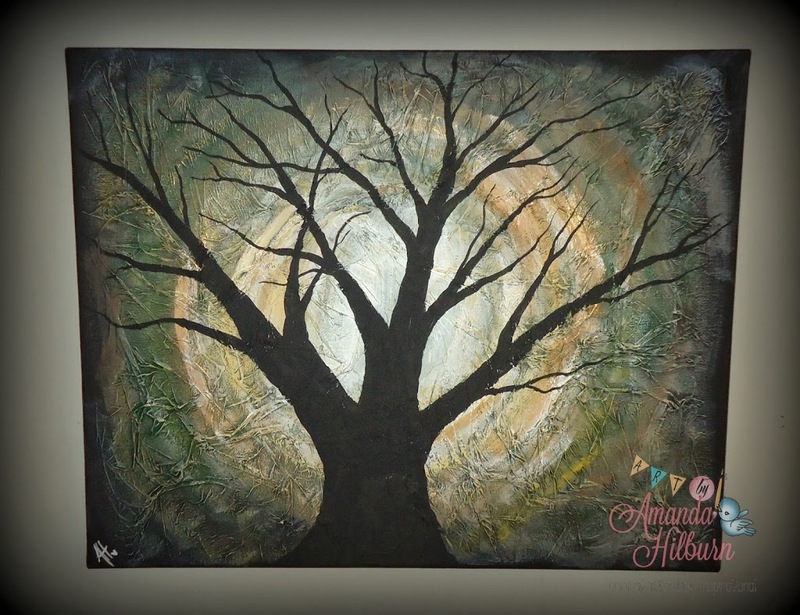 They are on canvases that are textured with Mod Podge, tissue paper, and painted over with acrylics. I LOVE the effect this gives! 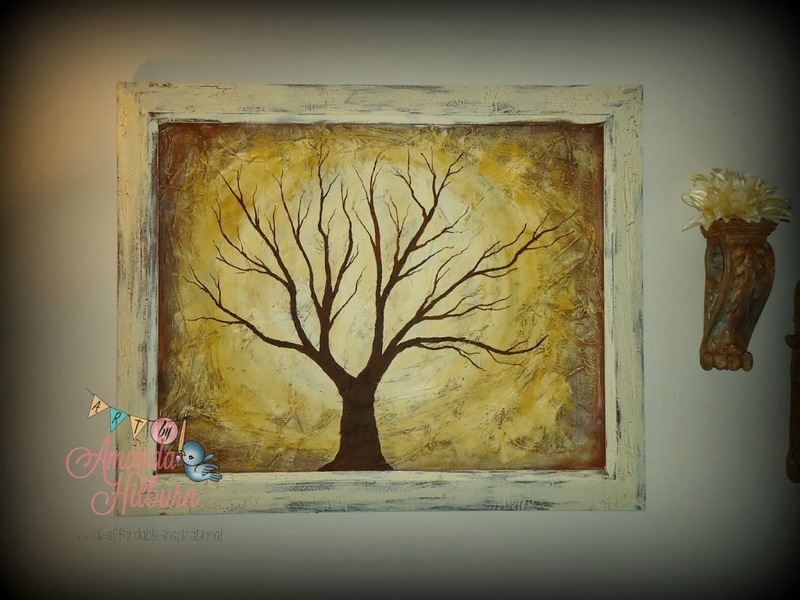 These first two trees are now available in my Etsy shop to purchase. Just follow this link for more info about them: ETSY SHOP I am also willing to take orders for these in specific color schemes. 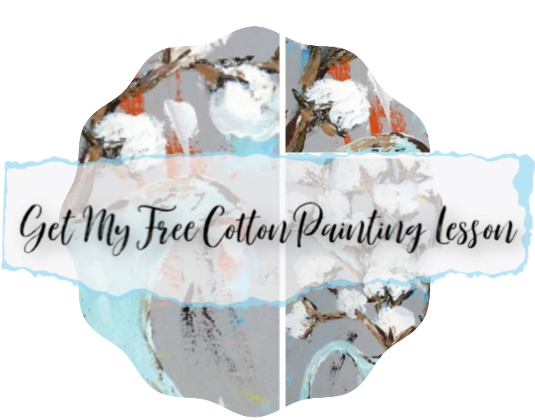 You can request a custom order in my Etsy shop. This piece I did for myself and it’s now hanging in our living room. I plan to do more with lighter backgrounds like this one and have them available in my shop soon. This one, however, is not for sale. 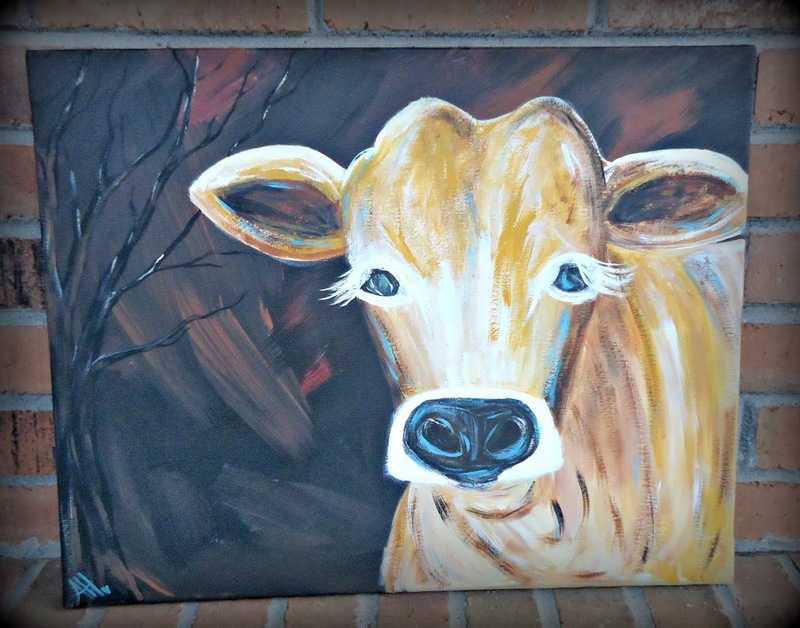 And then there’s HONEY….she was created this weekend too! I had a little game going on Facebook to name her and got comments with suggestions that ranged from Daisy to Ron Howard! LOL! She is also available in my shop and would love to find a home!